Steve Jobs used to ask his colleagues, “What incredible benefits can we give to the customer? Where can we take the customer?" In modern agile we ask how we can make people in our ecosystem awesome. This includes the people who use, make, buy, sell or fund our products or services. We learn their context and pain points, what holds them back and what they aspire to achieve. How can we make them awesome? You can’t make people awesome or make safety a prerequisite if you aren’t learning. We learn rapidly by experimenting frequently. We make our experiments “safe to fail” so we are not afraid to conduct more experiments. When we get stuck or aren’t learning enough, we take it as a sign that we need to learn more by running more experiments. Anything that isn’t delivered isn’t helping anyone become more awesome or safe. In modern agile we ask ourselves, “How could valuable work be delivered faster?” Delivering value continuously requires us to divide larger amounts of value into smaller pieces that may be delivered safely now rather than later. 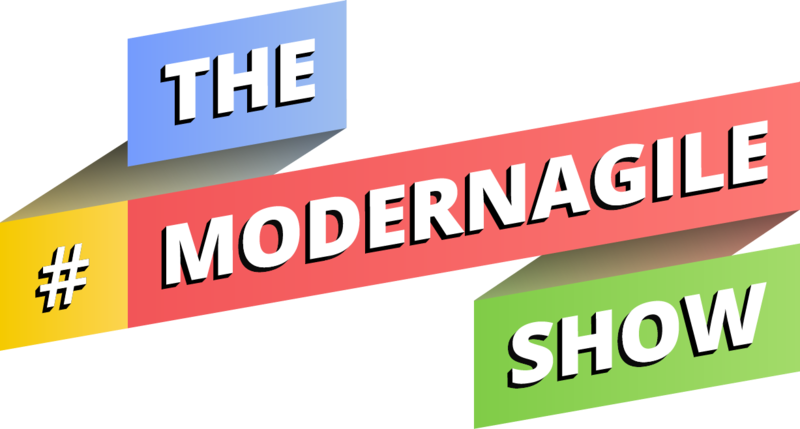 In addition to the many great article, video and book links below, you can learn a lot about Modern Agile by watching or listening to The #ModernAgileShow. 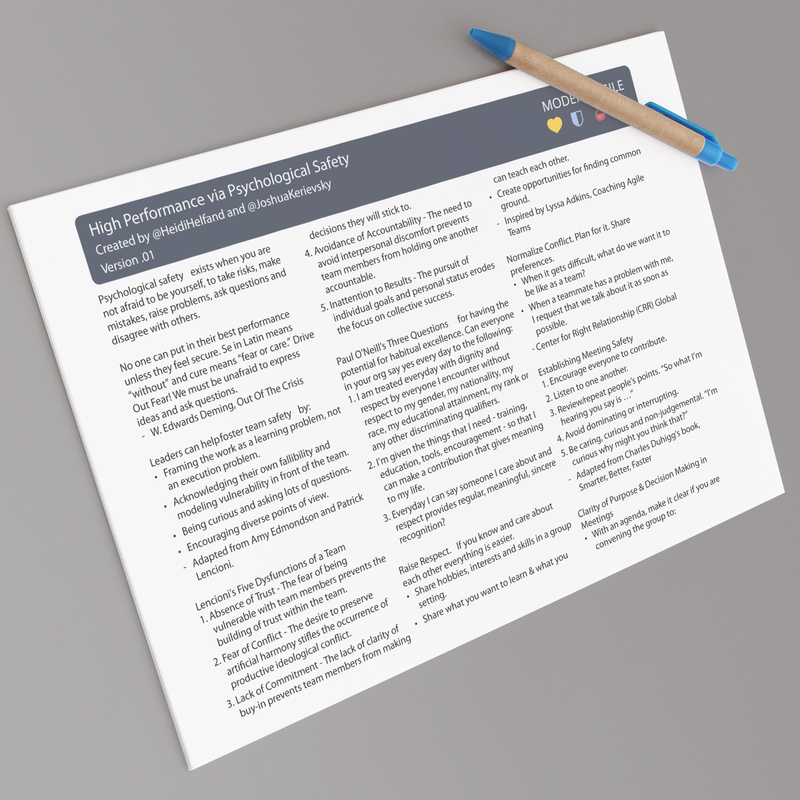 Want a fun way to choose a Modern Agile principle? Use our convenient "spinner wheel" and enjoy! 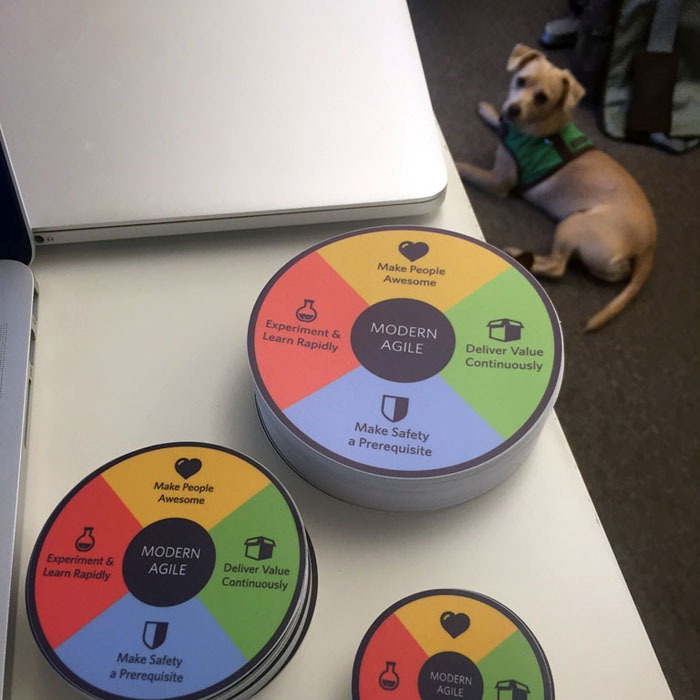 Just click or touch the Modern Agile circle to spin the wheel and get a randomly selected principle. Use the spinner wheel in training classes or as part of your daily focus on a Modern Agile principle. 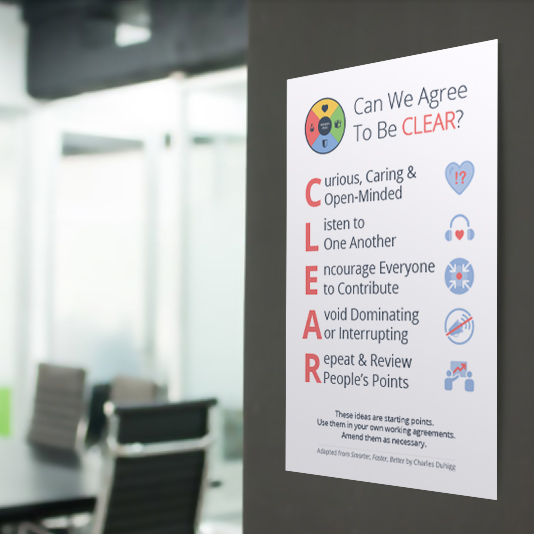 Teaching Modern Agile to others? Our growing catalog of training activities, including exercises, games, simulations and interactive lectures, is here to help. We regularly prune activities so that this catalog remains awesome. Please submit your awesome activities. Licensees may copy, distribute, display and perform the work only if they give the author or licensor the credits. Licensees may distribute derivative works only under a license identical ("not more restrictive") to the license that governs the original work. All the graphical assets within the kits make use of the Open Sans font, which is lincensed under Apache License Version 2.0. For your convenience, we have also made the font available for download from this website. 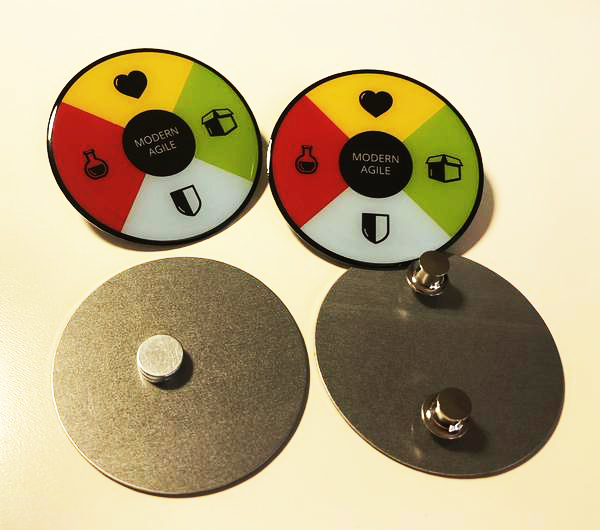 At our not-for-profit shop, you can purchase a variety of Modern Agile swag. All the items sold here are produced by high-quality third-party services, like Sticker Mule. 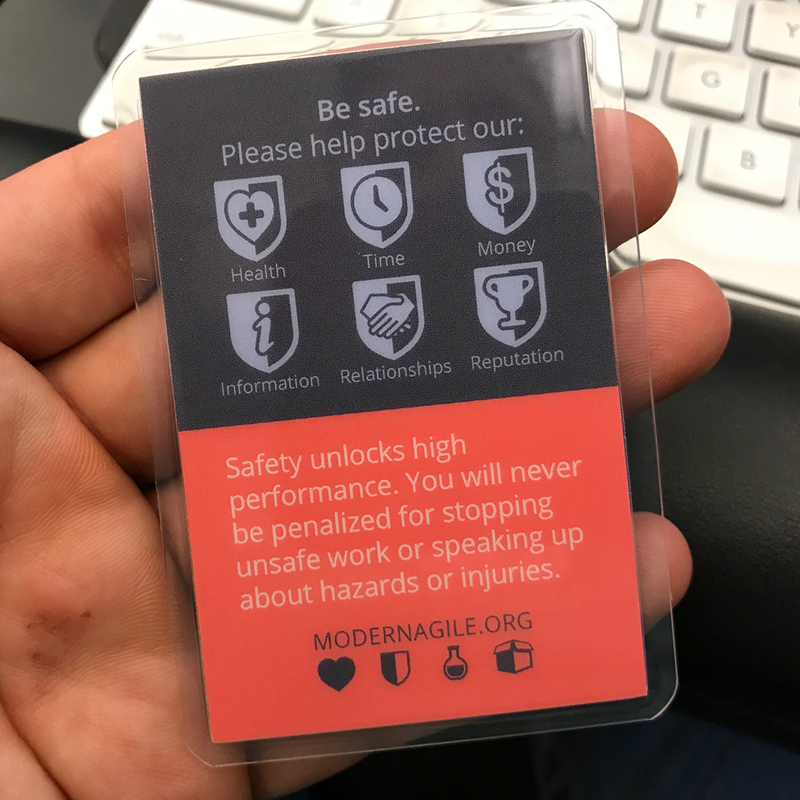 Please remember that you can also download the Modern Agile Media Kit (we support a growing list of languages) and produce your own swag with your provider of choice. If you have suggestions for this shop, please let us know! Modern Agile is a growing community of people who are interested in streamlining, simplifying and improving how people learn to be agile. We would love for you to become a part of this community. Below are upcoming Modern Agile events (please suggest new ones), a Modern Agile Slack community, as well as a Facebook group and Twitter handle. You may also contribute to this site by joining our public GitHub project. Feel free to also drop us a line and we'll get back to you as soon as possible.